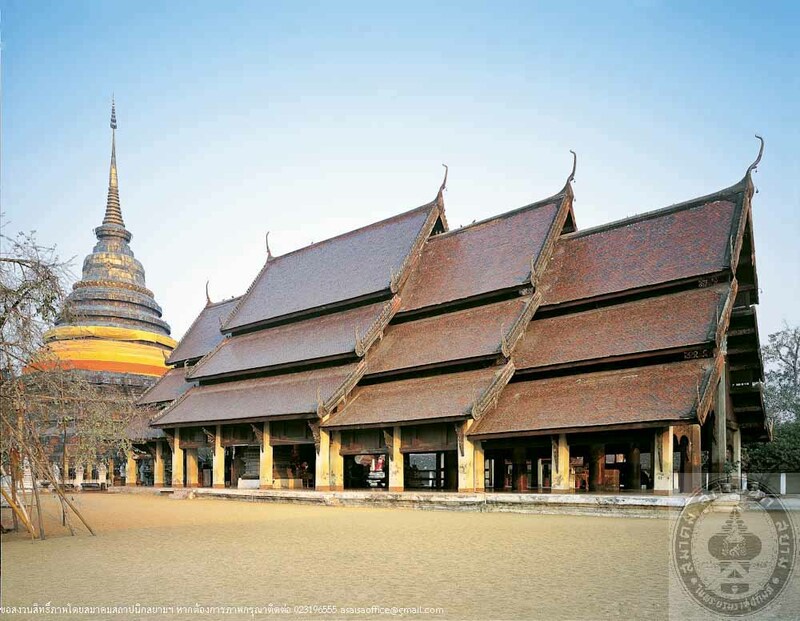 Wat Phra That Lampang Luang, one of Lampang’s most significant monuments, has no record on the date of establishment, however, it is predumably built circa 15th century according to the style of art and architecture. 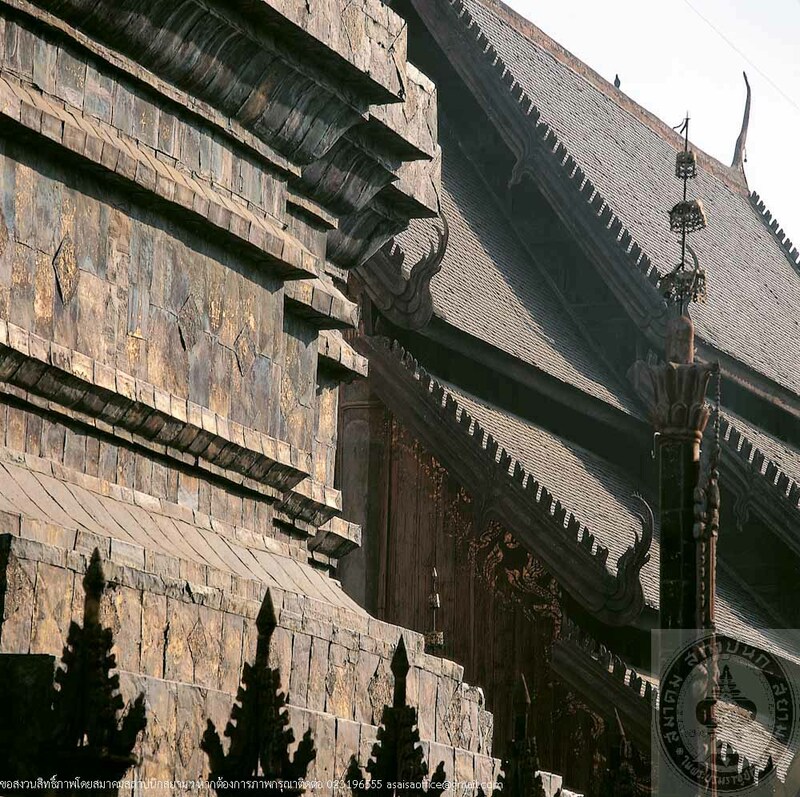 There are several important structure in the compound, especially in Buddhawas zone, which comprises the principle pagoda, Wiharn Luang, Wiharn Nam Taem, Wiharn Phra Phut, Ubosatha,Ho Phra Phutthabat,Wiharn Ton Kaew, Wiharn Lawo, Sum Pratu Khong, surrounded by Sala Bat or galleries. 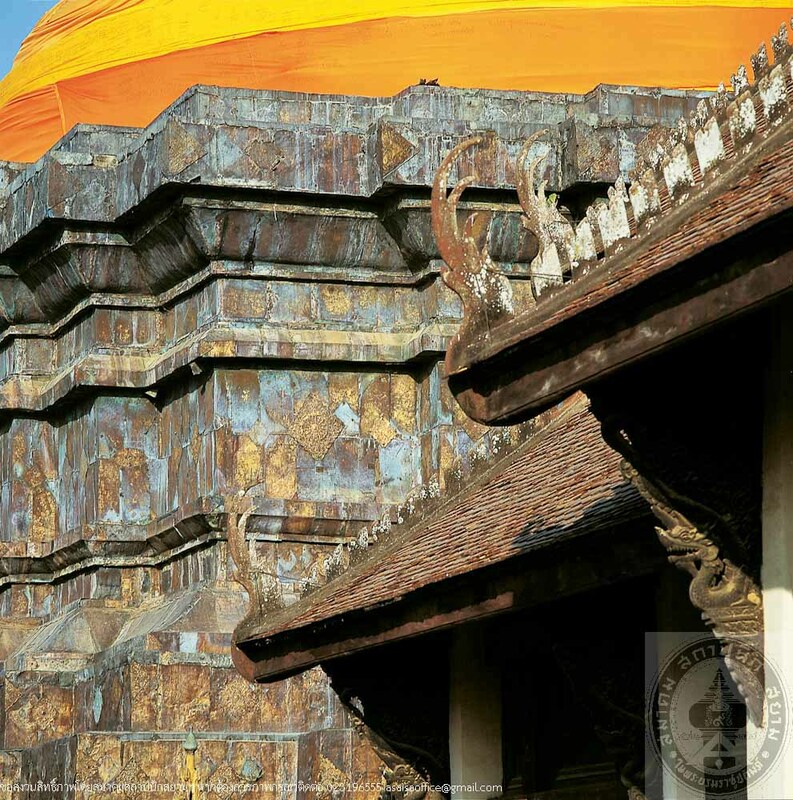 The principal pagoda is the first structure of this temple built circa 1499 AD. 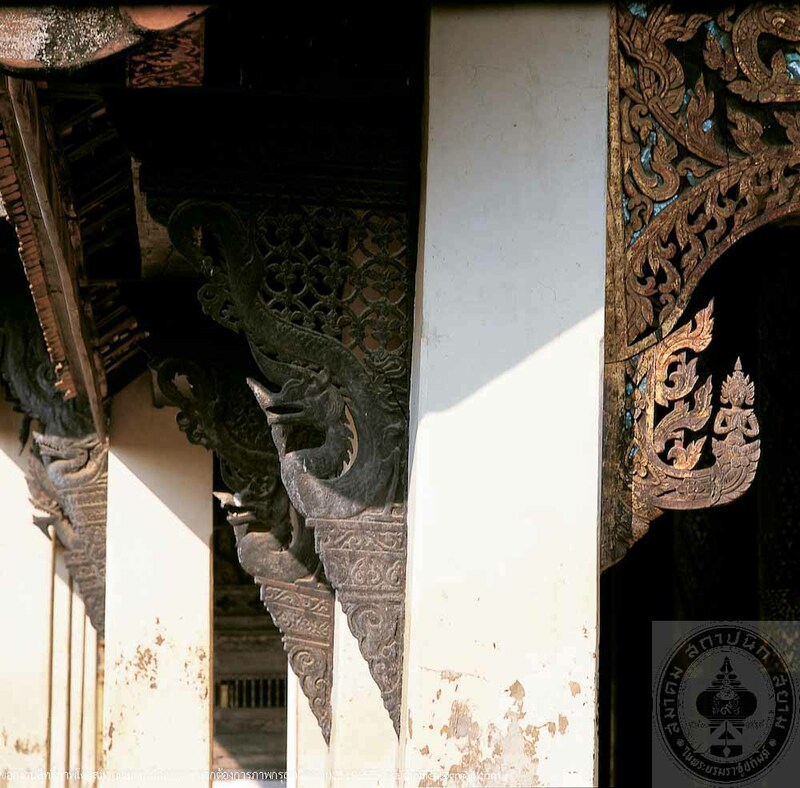 It is around pagoda of Lanna style; however, 3 rows on lotus mouldings which support the body of the pagoda indicate a Sukhothai influence. 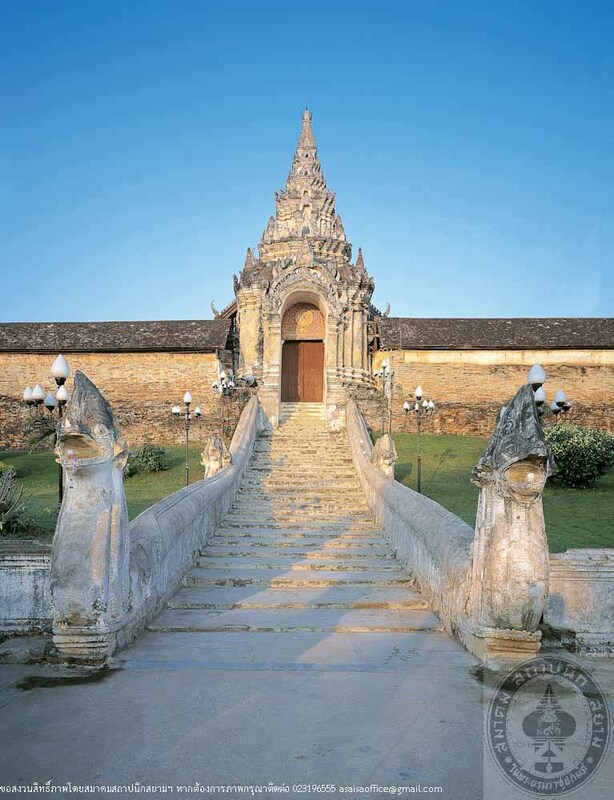 This pagoda, as legend says contains the Buddha’s relics. 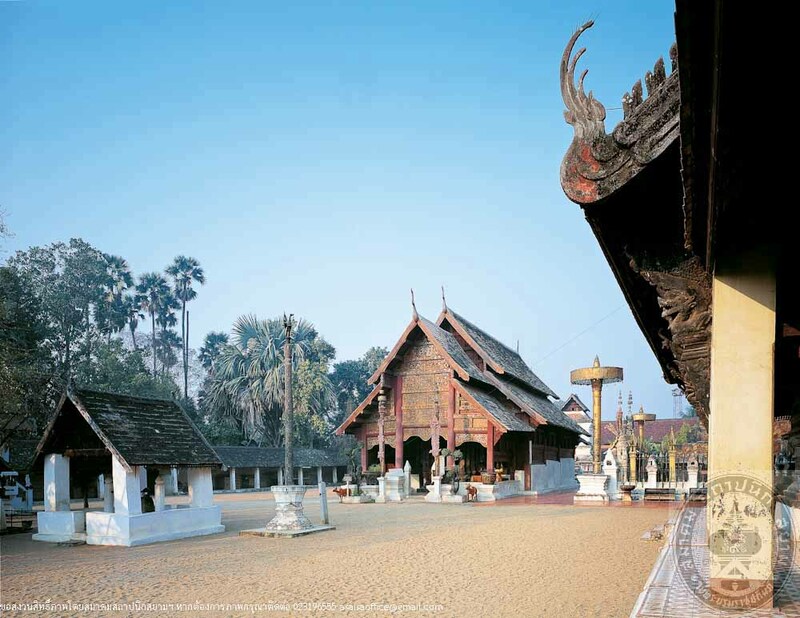 On the fence around the pagoda, there is a small hole that was caused by a bullet that Nan Thip Chang, a Lanna hero of ancient time and the founder of Chao Chet Ton family, shot Thao Mahayot, the Lord of Lamphoon who invaded Lampang circa 1732 AD. Thus Lampang was freed and Nan Thip Chang was promoted as Phraya Sulawaluechai Lord of Lampang. 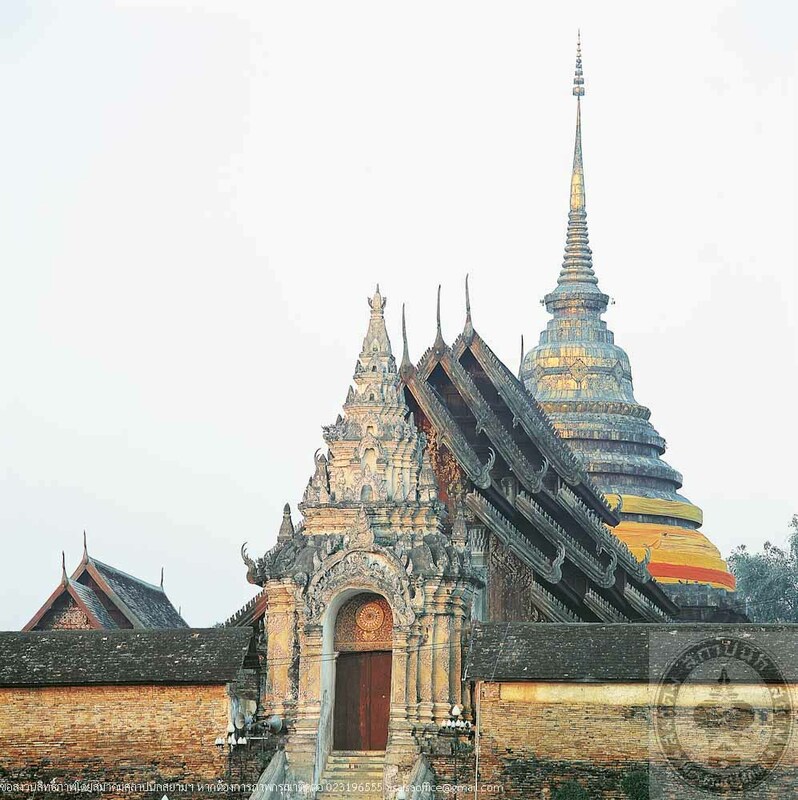 Wiharn Laung and Wiharn Nam Taem are built in Lanna style. The interior of both halls is intricately decorated with red glided lacquer and paintings. The architecture and craftsmanship applied to these halls is highly distinguished in artistic value. 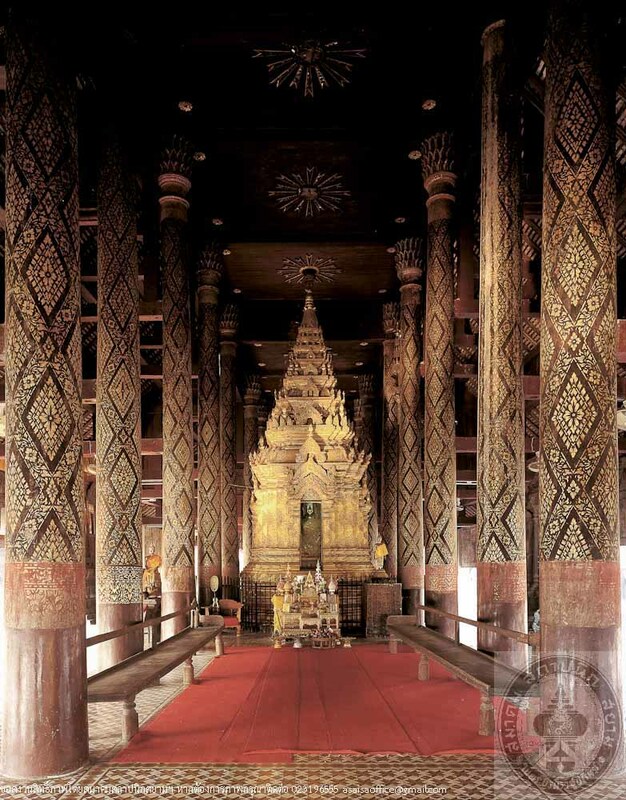 Wiharn Luang is enshrined with a Buddha’s image, Phra Chao Lanthong, in a Lanna style Buddha’s Hall, which is large in scale and finely decorated with gilded stuccos. Sum Pratu Khong, or Gateway on the east is the main entrance to the temple. It is elaborately decorated with stucco and the top of which is made in shape of tiered spire. Apart from these, there are more to be seen at the temple, which has been well-maintained and treasured until the present day.